Some find it hard to achieve mindfulness by following written instructions. Mindfulness apps offer interactive support but come with all the distractions of their host devices. 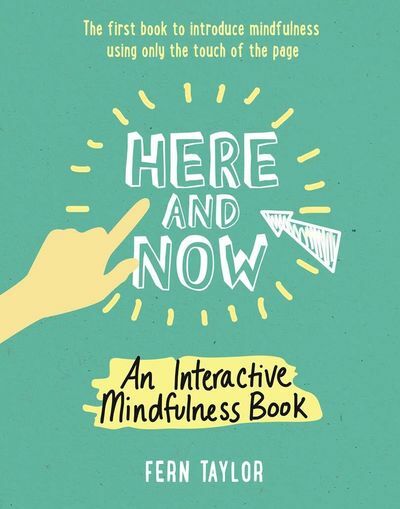 The Here and Now Mindfulness Activity Book offers a unique and enjoyable way to feel calm and mindful using the physical page. With a soothing tone and reference to modern life, Fern Taylor leads readers through 27 illustrations. Each one is an exercise that actively triggers a state of mindful awareness. All of the exercises are quick and easily accessible so that the reader can simply 'pick up and practise' at any time. Here and Now's playful tone offers a lighter approach than existing guides, and a neat, fun way to support an anxious friend or relative. Fern Taylor graduated with a first-class degree in English Literature from Keele University in 2005, before qualifying as a teacher, gaining her PGCE from Cambridge University. She worked as a primary school teacher for seven years until, in 2013, she was diagnosed with an auto-inflammatory disease. Following medical advice, Fern began to slow down her pace of life and explore mindfulness as a means to manage her condition. She found the practice invaluable in helping her to live in the present, and developed the book as a means to share the practice she has found so life-changing. Fern is a leading member of Wake Up, a thriving international community of young people aged 18-35 who come together to practise mindfulness and social action in the tradition of Thich Nhat Hanh. Fern often leads guided meditations and other mindfulness practices for the group. HERE AND NOW was published by HarperCollins in 2017. ​Oli Doyle, Author of Mindfulness For Life and Mindfulness Plain & Simple.